Hedge Funds and other institutional investors have just completed filing their 13Fs with the Securities and Exchange Commission, revealing their equity portfolios as of the end of September. At Insider Monkey, we follow over 700 of the best-performing investors and by analyzing their 13F filings, we can determine the stocks that they are collectively bullish on. One of their picks is Verizon Communications Inc. (NYSE:VZ), so let’s take a closer look at the sentiment that surrounds it in the current quarter. Is Verizon Communications Inc. (NYSE:VZ) a marvelous investment today? The smart money is getting more optimistic. The number of bullish hedge fund positions advanced by 3 in recent months. Our calculations also showed that VZ isn’t among the 30 most popular stocks among hedge funds. VZ was in 51 hedge funds’ portfolios at the end of the third quarter of 2018. 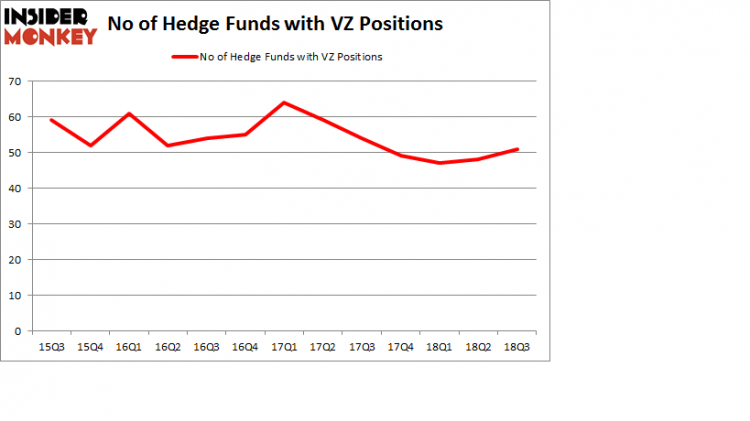 There were 48 hedge funds in our database with VZ holdings at the end of the previous quarter. In today’s marketplace there are a large number of indicators investors can use to grade their holdings. A duo of the most useful indicators are hedge fund and insider trading indicators. We have shown that, historically, those who follow the best picks of the top hedge fund managers can outpace the market by a very impressive amount (see the details here). We’re going to take a glance at the new hedge fund action regarding Verizon Communications Inc. (NYSE:VZ). What have hedge funds been doing with Verizon Communications Inc. (NYSE:VZ)? 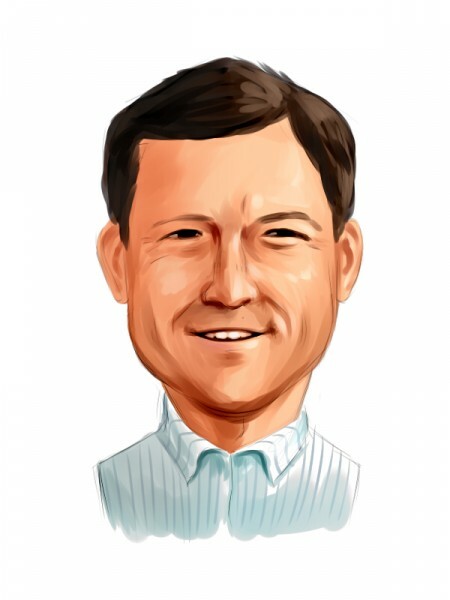 At the end of the third quarter, a total of 51 of the hedge funds tracked by Insider Monkey held long positions in this stock, a change of 6% from the previous quarter. Below, you can check out the change in hedge fund sentiment towards VZ over the last 13 quarters. With the smart money’s sentiment swirling, there exists a select group of notable hedge fund managers who were upping their holdings significantly (or already accumulated large positions). When looking at the institutional investors followed by Insider Monkey, Phill Gross and Robert Atchinson’s Adage Capital Management has the largest position in Verizon Communications Inc. (NYSE:VZ), worth close to $286.8 million, comprising 0.6% of its total 13F portfolio. The second most bullish fund manager is Noam Gottesman of GLG Partners, with a $153.6 million position; 0.6% of its 13F portfolio is allocated to the stock. Some other professional money managers with similar optimism consist of Israel Englander’s Millennium Management, Cliff Asness’s AQR Capital Management and Ken Griffin’s Citadel Investment Group. As aggregate interest increased, key money managers have been driving this bullishness. Point72 Asset Management, managed by Steve Cohen, established the largest call position in Verizon Communications Inc. (NYSE:VZ). Point72 Asset Management had $13.3 million invested in the company at the end of the quarter. Michael Platt and William Reeves’s BlueCrest Capital Mgmt. also made a $12.4 million investment in the stock during the quarter. The other funds with brand new VZ positions are Dmitry Balyasny’s Balyasny Asset Management, Glenn Russell Dubin’s Highbridge Capital Management, and Ben Levine, Andrew Manuel and Stefan Renold’s LMR Partners. Let’s now take a look at hedge fund activity in other stocks – not necessarily in the same industry as Verizon Communications Inc. (NYSE:VZ) but similarly valued. We will take a look at Intel Corporation (NASDAQ:INTC), The Boeing Company (NYSE:BA), The Procter & Gamble Company (NYSE:PG), and China Mobile Limited (NYSE:CHL). This group of stocks’ market valuations are similar to VZ’s market valuation. As you can see these stocks had an average of 44.75 hedge funds with bullish positions and the average amount invested in these stocks was $4.41 billion. That figure was $1.26 billion in VZ’s case. Intel Corporation (NASDAQ:INTC) is the most popular stock in this table. On the other hand China Mobile Limited (NYSE:CHL) is the least popular one with only 15 bullish hedge fund positions. Verizon Communications Inc. (NYSE:VZ) is not the most popular stock in this group but hedge fund interest is still above average. This is a slightly positive signal but we’d rather spend our time researching stocks that hedge funds are piling on. In this regard INTC might be a better candidate to consider a long position.